The Texas Railroad Commission (“TRC”), an agency that has suffered financial difficulties due to budget cuts and reduced revenues, recently received a budget increase of 46 percent ($79.6 million) in the recently ended legislative session. These budgetary increases will hopefully allow the TRC to improve upon their ability to be an effective resource for landowners and make pipeline data readily available to the everyday Texan. Pipeline construction often requires pipeline companies to use the power of eminent domain to condemn property, commonly referred to as a “taking.” Public access to information collected by the TRC is vital to keeping landowners aware of activities that could affect their property. The budget increase follows a year that saw monthly budget cuts of over a million dollars, a hiring freeze, and the postponing of desperately needed technological updates. In light of these financial difficulties, the TRC was forced to limit their operations to two core functions, the permitting and inspection of wells. Another one of the TRC’s functions is the issuance of T-4 permits which grants pipeline constructors the common carrier status required to exercise the power of eminent domain. A vital component of fulfilling this function is to maintain a public database of pipeline easements in the State of Texas. The increased funding is intended, in part, to improve programs for well plugging, oil field clean up, and pipeline safety by financing the hiring of additional staff. The TRC’s staff is capped at 827 employees. Presently, the TRC is roughly 150 employees short of that maximum number. Additionally, the TRC was granted one-time authorization to retain nearly $40 million in revenue collected through its administration of the Natural Gas Utility Pipeline Tax. Roughly $27.6 million of that money will also be used to hire additional employees. The remainder will be used to provide salary increases. An additional purpose of the budget increase is to continue, and hopefully expedite, the drawn-out process of updating the TRC’s computers and digitizing decades of oil and gas records which include pipelines constructed with and without the power of eminent-domain in the State. In addition to updating its computer systems and digitizing historical records, the TRC provides an interactive map, accessible to the public, that tracks existing and operational pipelines throughout the State. The data represented by the interactive map may not always be current. This ambiguity diminishes the capacity of Texans to appreciate the scope of pipeline activity and its effect on their lives and property. One day, perhaps, the TRC will expand the functionality of its interactive map to include planned pipelines. This would allow landowners to determine whether a project under development will impact their property. Landowners, under both the U.S. and Texas Constitutions, are entitled to just compensation when their land is taken. These database improvements can help begin to level the playing field between landowners and powerful oil and gas interests by keeping landowners current on projects that could impact their property rights. Denbury Pipeline. Photo Courtesy of StateImpact.NPR.org. According to the Fifth Amendment of the U.S. Constitution and Article I, Section 17 of the Texas Constitution, applications of the eminent-domain power must be for public use. Jurisdictions have developed legal and administrative structures which allow private interests limited uses of the power. For Texas pipelines, the granting of eminent-domain authority can only take place when a project fulfills certain requirements. Chief among these is the ability to prove that the pipeline has a public use, meaning it is not being built exclusively for and used only by the entity condemning the land. Statewide, the common-carrier definition, and the derivative test determining whether the definition can describe a given pipeline, is used to establish and enforce the public use requirement. 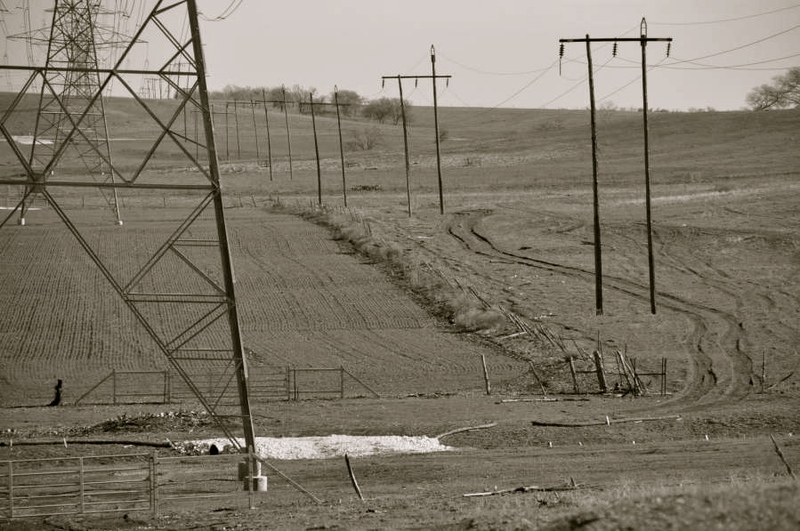 In the recently decided Denbury Green Pipeline – Texas, LLC v. Texas Rice Land Partners, Ltd., the Texas Supreme Court clarified the access conditions for common-carrier status. In 2015, an appellate court established two additional barriers to common-carrier status. First, it held that a pipeline’s common carrier status must result from an examination of the intent of the constructing party to use the pipeline for public benefit at the onset of the project’s contemplation. Second, the pipeline’s use must serve a “substantial” public interest. The Supreme Court decision reversed these two holdings, the first on the grounds that it misinterpreted case law, and the second because it proceeded beyond the limits of precedent. The Supreme Court also held that Denbury’s post-construction product transportation contracts with third parties, and the fact that certain third parties would retain product title, was sufficient to evidence public use and therefore common-carrier status after the pipeline is built. This opinion is a significant blow to Texas landowner rights. College Station has been a hub for growth in recent years, and this growth has triggered the development of several large-scale infrastructure projects that will require the use of eminent-domain to reach fruition. In an effort to help educate local landowners of their rights in these proceedings, Johns Marrs Ellis & Hodge hosted the Property Owner and Land Owner Rights Conference on May 9 in College Station. Tiffany Dowell Lashmet, Assistant Professor and Extension Specialist who focuses on Agricultural Law at Texas A&M Agrilife Extension, spoke to those in attendance about easement negotiations and rights. Lashmet writes and maintains the Texas Agriculture Law blog for A&M, a site that has been regarded as one of the top legal blogs in the nation. JMEH partners Luke Ellis and Justin Hodge also presented at the conference and provided a summary of Texas Senate and House bills pertaining to eminent domain. Most of the bills discussed did not make their way into legislation at the close of Texas’ 84th Legislative Session. The two also went over what the landowners affected by nearby projects could expect in an eminent-domain lawsuit. “There were dozens of concerned landowners in attendance who are deeply impacted by these projects,” Hodge said. The conference also included discussions about land valuation, typical valuation disputes in condemnation cases, and information about what to look for when obtaining an appraiser. If you have any questions regarding this seminar or any other projects, please feel free to contact Luke Ellis (lellis@jmehlaw.com) or Justin Hodge (jhodge@jmehlaw.com). A Texas-based oil company discovered a leak in one of its pipelines in North Dakota after a local farmer reported it to ND officials on Sept. 29, but the oil company did not spill this news until 11 days after discovering the pipeline rupture that released an estimated more-than 20,000 barrels of crude oil. State officials initially reported a 750-barrel spill that the company in question, Tesoro Logistics LP, did not publicize because of the smaller initial estimate and what it considered to be a lack of environmental damage. Kris Roberts, an environmental geologist with the North Dakota Health Department, was quoted in a New York Times article stating that Tesoro officials reported the spill to the state within 24 hours of first discovery and that the state does not have to release information of all oil spills publicly. While Tesoro responded to the spill promptly, the cleanup process could take a couple of years and will cost an estimated $4 million. The local wheat farmer, Steve Jensen, who notified the State Department of Health of the oil spill after seeing crude oil coating the wheels of his combine, will also receive compensation for damages to his field that could keep his wheat crops out for a couple of years. He and Tesoro are negotiating a settlement in regards to this matter. The spill seems to have originated from a hole — about a quarter-inch in diameter — in a segment of the 20-year-old pipeline originally built by BP in 1993 but purchased by Tesoro in 2001, according to Reuters. The pipeline runs 35 miles within the state. Many people have criticized Tesoro for not detecting the spill of about 20,600 gallons over 7.3 acres, or the equivalent of seven football fields according to the NYT, and the spill comes during an oil boom for the state following its 1951 discovery of oil. This spill surely will not help mitigate those concerned about the much larger Keystone XL pipeline expansion that will cross international borders and include 1,700 new miles of pipeline if approved. The Keystone Pipeline did not see its day in Congress during the debt-ceiling debates, and a decision on its expansion will likely not come until 2014. TransCanada, the company heading the Keystone project, Tesoro Corp. and other pipeline owners cannot afford to slack on detecting leaks under the current political climate. These companies must employ vigilance and preemptive measures to mitigate environmental concerns and to protect landowners like Jensen whose income depends on the land surrounding oil pipelines. Coauthored by Justin Hodge and Ayla Syed. Note: Tesoro Logistics LP is a partnership formed by Tesoro Corp.
To read more about the spill, please click here. Luke Ellis and Justin Hodge are partners with Marrs Ellis & Hodge LLP. Justin heads the firm's eminent domain practice in the Houston office. Luke heads the firm's eminent domain practice in the Austin office. Luke Ellis is widely recognized as one of Texas’s top young lawyers—and one of the top lawyers of any age practicing in the area of eminent domain. Mr. Ellis has broad experience and has enjoyed success in many types of civil litigation. Justin Hodge is a trial lawyer who represents Texas landowners in condemnation, eminent-domain, and real-estate lawsuits. He represents landowners in condemnation proceedings, not the governmental authorities or private companies taking property. Mr. Hodge has handled complex condemnation and eminent-domain cases throughout the State of Texas. If you have questions about any of the issues raised in this blog, we invite you to discuss them with us at jhodge@mehlaw.com or lellis@mehlaw.com.